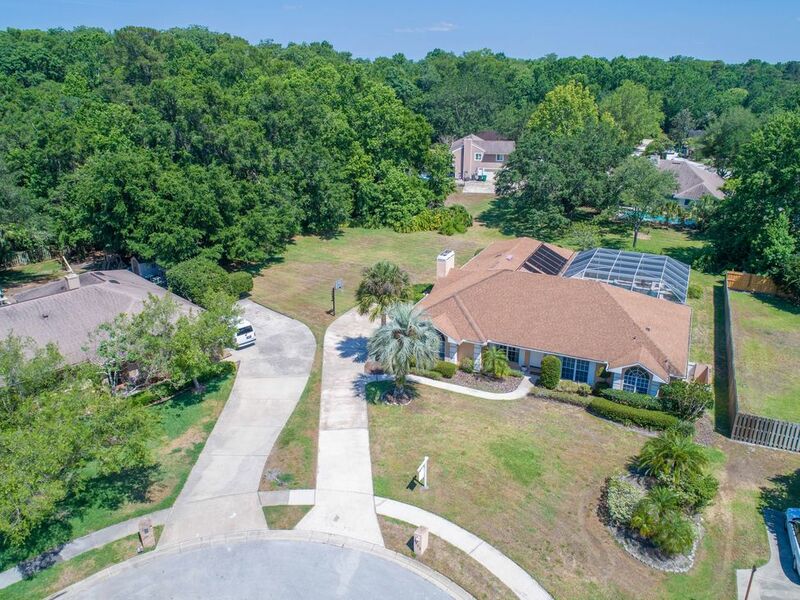 Travel down TREE LINED streets of Tuscawilla to a small CUL-DE-SAC where you’ll find this Spacious 5 Bedroom, 2 1/2 Bathroom, 2 Car Home with an EXTRA LARGE Pool. 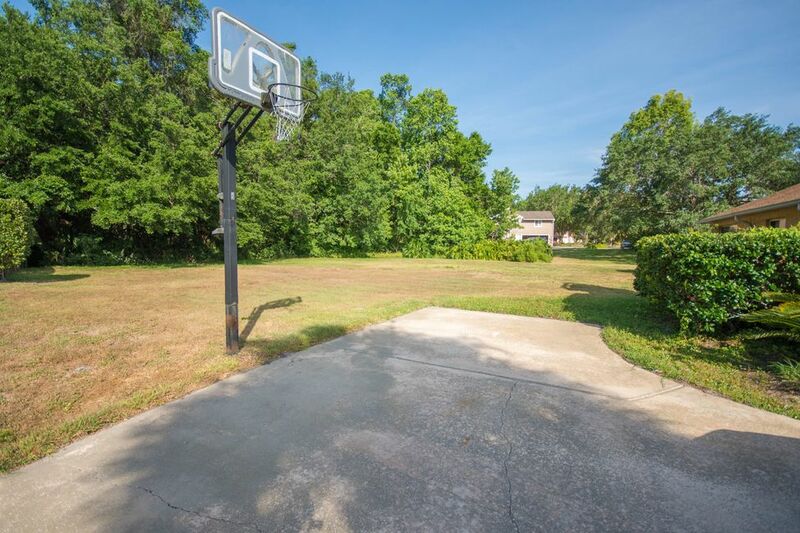 With NO HOA, the driveway is long for any kind of storage on this 1.5 acre lot. 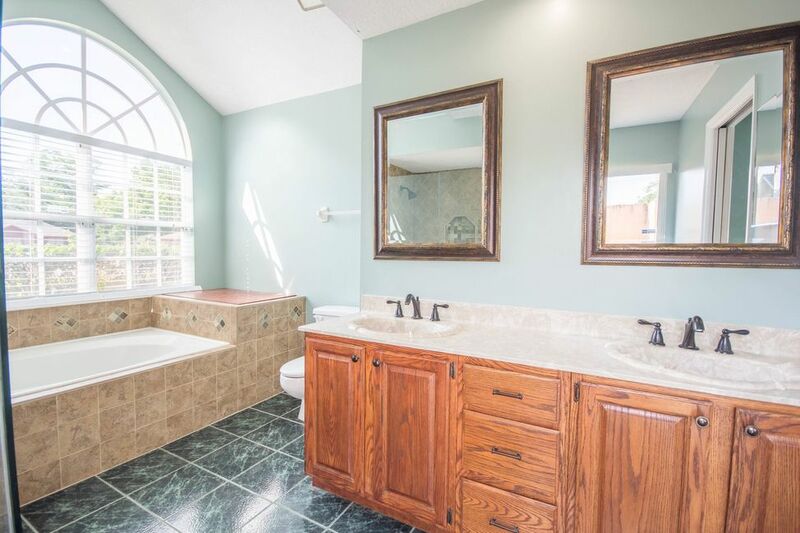 BONUS: 1 full ACRE of undeveloped wooded land. 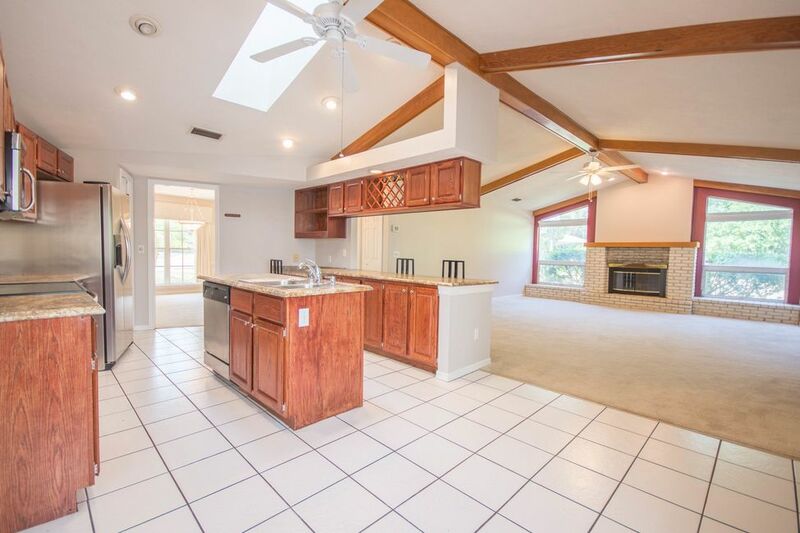 Upon entering the front door of this Tuscawilla home are the formal Living and Dining Rooms. 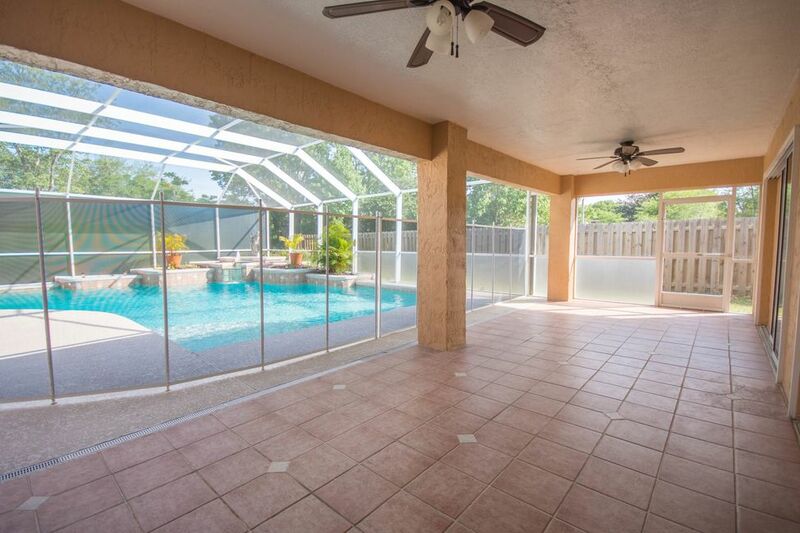 Impressive views of the SOLAR HEATED POOL and Screened Patio from the Living Room. 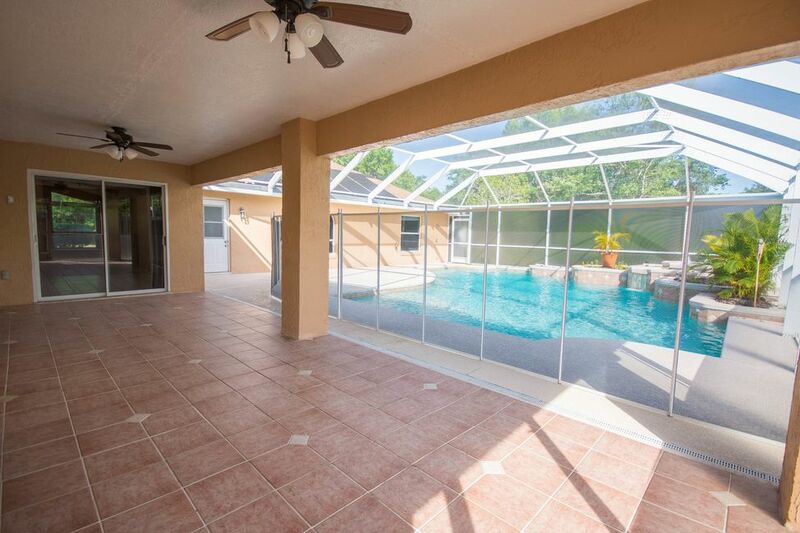 Pocket Sliding Glass Doors open to the patio from the Living Room and Master Bedroom. 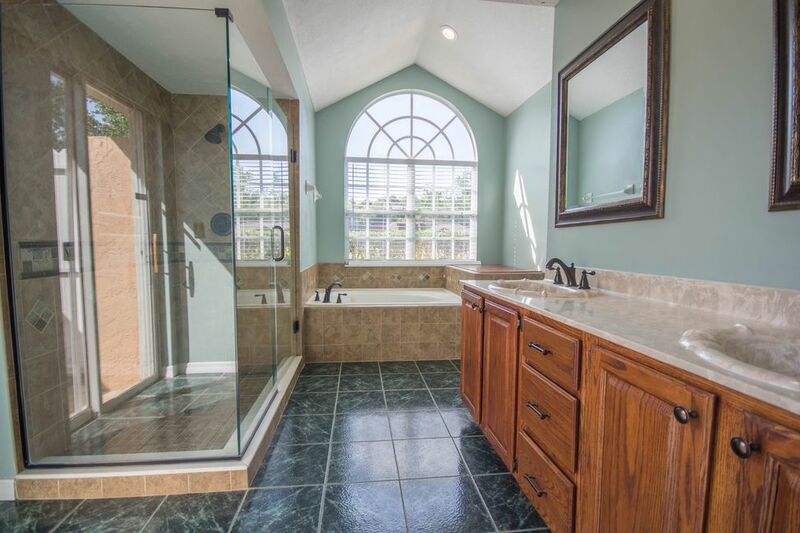 NATURAL LIGHT in Master Suite leads you to the Dual Vanities, newly tiled Walk-In shower and Jetted Tub in the Master Bath. 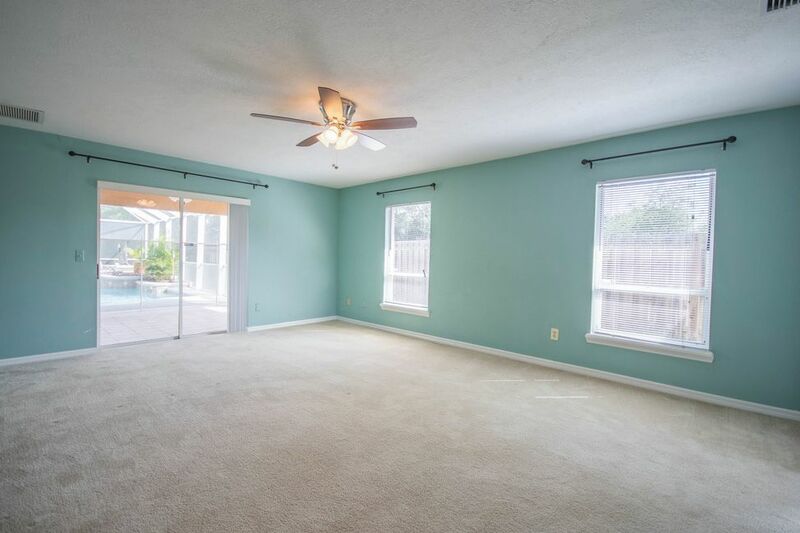 Master Suite and 5th Bedroom or Office are off the front of the home separate from 3 large bedrooms and bonus area or playroom behind the family room. 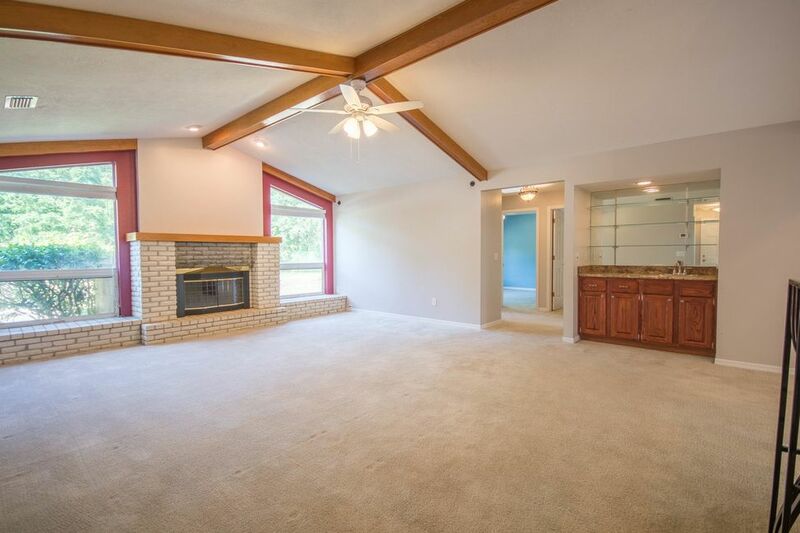 CEDAR BEAMS align the peaks of the vaulted ceilings in the HUGE Family Room featuring a BRICK WOOD FIREPLACE and Wet Bar. 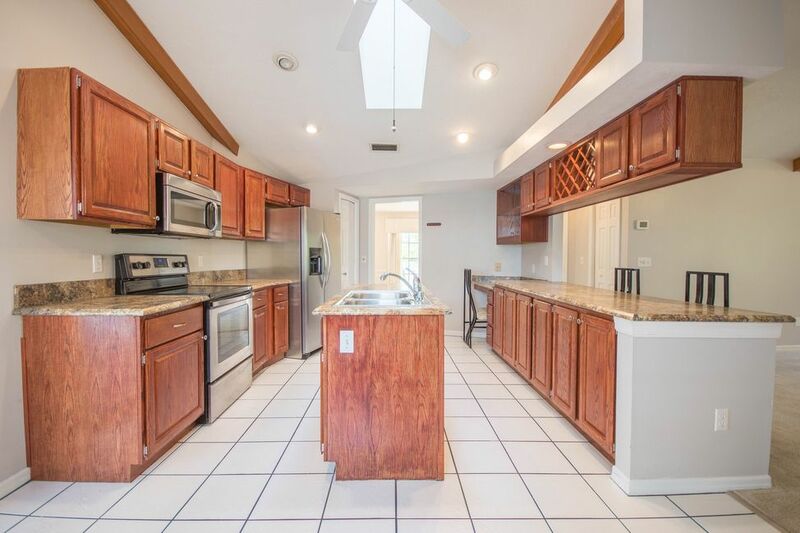 The sun illuminated Kitchen features Stainless Steel appliances, Island, Desk Area, Pantry and Wine Storage in the plentiful cabinets above the breakfast bar. 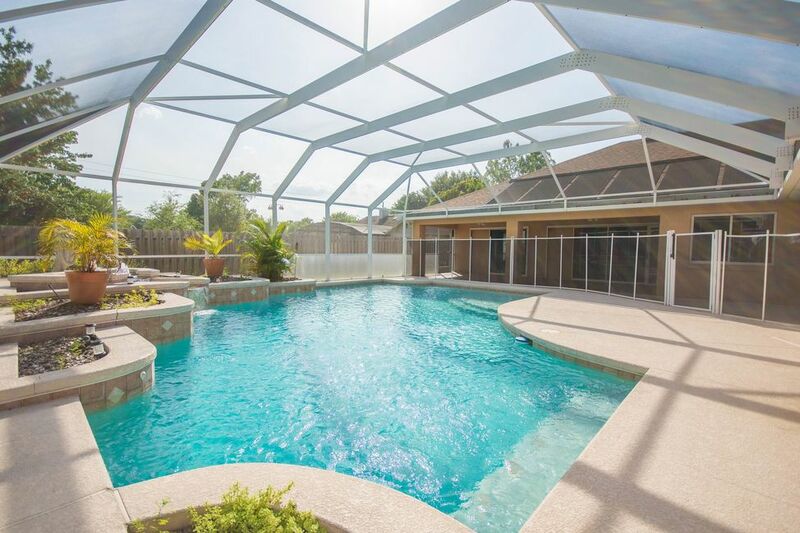 You’ll love the EXTRAS: A/C- 2009, ROOF- 2004, POOL built in 2001, Updated PEX Plumbing, 71 Gallon Water Heater, inside Utility Room with Cabinets, 3 storage closets, Blinds, Ceiling Fans, Security System, 4 foot storage area in Garage and work bench. 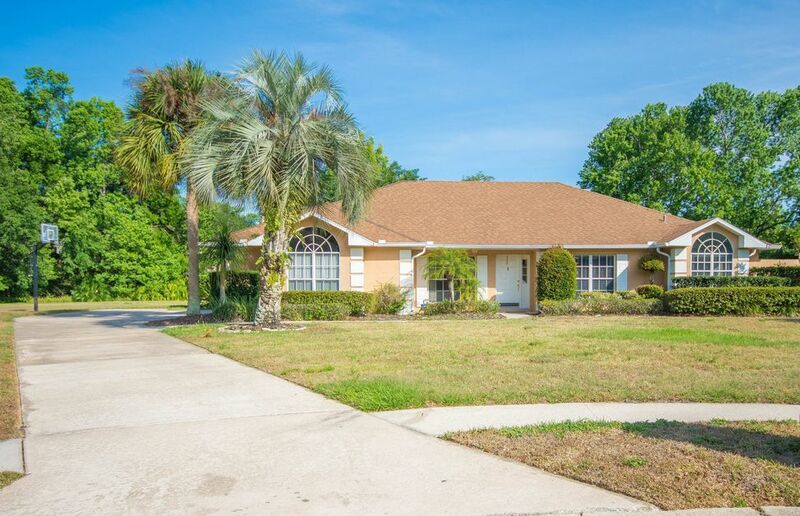 LOCATION, LOCATION, LOCATION for this Tuscawilla Home: Excellent Seminole County Schools! 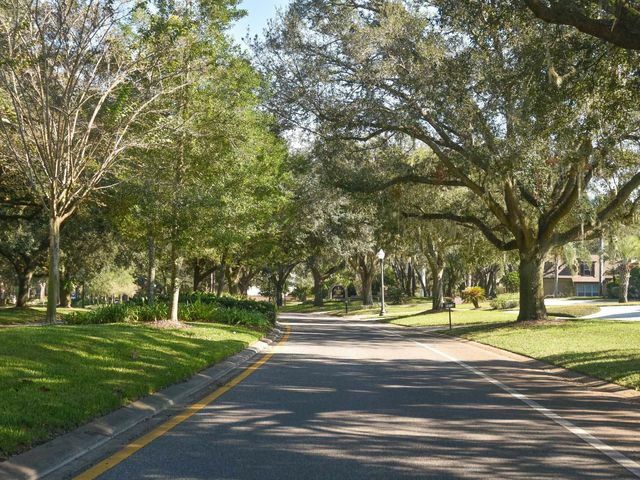 Walking trails, playgrounds, picnic areas, tennis & basketball courts, baseball fields, golf course and clubhouse inside the community of Tuscawilla. 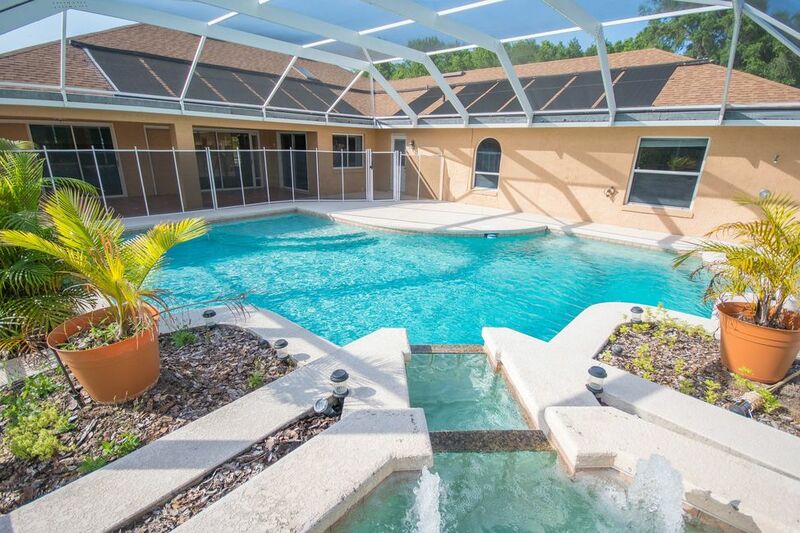 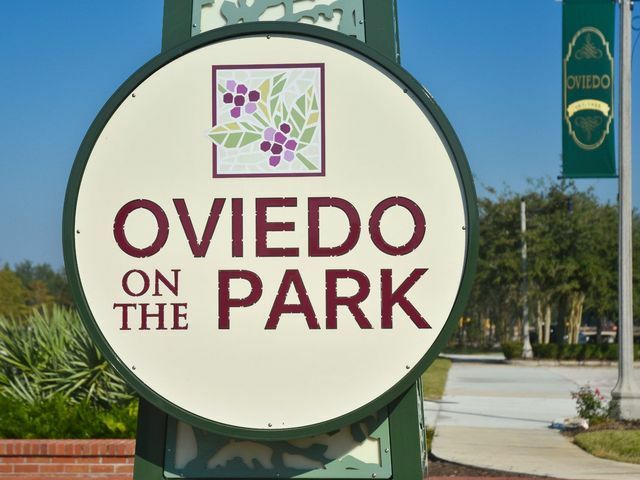 Convenient location for an easy commute around Orlando, Orlando International Airport in 30 minutes or Volusia Beaches in 1 hour.